In this guide, we will show you how to get Django up and running on a Debian 8 server. After installation, we'll show you how to start a new project to use as the basis for your site. Before you begin, you should have a non-root user with sudo privileges available on your Debian 8 server. To set this up, follow our Debian 8 initial server setup guide. When you are ready to continue, read below to decide on which installation method is best for your situation. Global Install from Packages: The official Debian repositories contain Django packages that can be installed easily with the conventional apt package manager. This is very simple, but not as flexible as some other methods. Also, the version contained in the repositories may lag behind the official versions available from the project. Install through pip in a Virtualenv: The Python virtualenv package allows you to create self-contained environments for various projects. Using this technology, you can install Django in a project directory without affecting the system-level packages. This allows you to provide per-project customizations and packages easily. Virtual environments add some slight mental and process overhead in comparison to globally accessible installation, but provide the most flexibility. Development Version Install through git: If you wish to install the latest development version instead of the stable release, you will have to acquire the code from the git repo. This may be necessary to get the latest features/fixes and can be done globally or locally. Development versions do not have the same stability guarantees, however. With the above caveats and qualities in mind, select the installation method that best suits your needs out of the below instructions. Afterwards, be sure to check out the section on creating a sample project to learn how to get started. 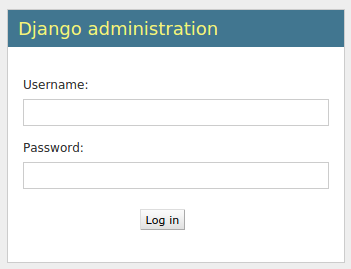 If you wish to install Django using the Debian repositories, the process is very straightforward. This means that the software was successfully installed. You may also notice that the Django version is not the latest stable. To learn a bit about how to use the software, skip ahead to learn how to create a sample project. Now, you can install the appropriate packages and complete the installation. The packages and commands you need depend on the version of Python you plan to use with your projects. As you can see, the version available through pip is more up-to-date than the one from the Debian repositories (yours will likely be different from the above). The version installed through pip should be the latest stable release (the specific version may be different than the one shown above). The packages and commands needed to install Django differ depending on the version of Python you wish to use for your projects. Follow the instructions below for the version of Python you plan to use. This will install a standalone version of Python, as well as pip, into an isolated directory structure within your project directory. We chose to call our virtual environment venv, but you can name it something descriptive. A directory will be created with the name you select, which will hold the file hierarchy where your packages will be installed. Your prompt should change to reflect that you are now in your virtual environment. It will look something like (venv)username@hostname:~/projectname$. As you can see, Django has been installed in the virtual environment. Your prompt should revert to the conventional display. This will install a standalone version of Python, as well as pip, into an isolated directory structure within your project directory. A directory will be created with the name passed in as an argument. We have chosen venv here. This directory will hold the file hierarchy where your packages will be installed. Your command prompt should now be prefixed with the name of your virtual environment. It will look something like (venv)username@hostname:~/projectname$. If you need a development version of Django, you will have to download and install Django from the project's git repository. To do so, you will first install git on your system with apt. We will also need pip, which is used to install from the downloaded source code. The package names and commands depend on the version of Python you plan on using with Django. Keep in mind that you can combine this strategy with virtualenv if you wish to install a development version of Django in a single environment. If you wish to install the development version within an isolated environment, you can combine this strategy with the virtualenv strategy. Once you have Django installed, we can show you how to get started on a project. Use the django-admin command to create a project. This will create a directory called projectname within your current directory. Within this new directory, a management script will be created and another directory called projectname will be created with the actual code. Note: If you already have a parent project directory that you created for use with the virtualenv command, you can tell Django to place the management script and inner directory directly into the existing directory. This will help avoid an extra layer of project directories. Note the ending dot at the end of the command. You will be asked to select a username, email address, and password for the user. Inside, locate the ALLOWED_HOSTS directive. This defines a whitelist of addresses or domain names that may be used to connect to the Django instance. Any incoming requests with a Host header that is not in this list will raise an exception. Django requires that you set this to prevent a certain class of security vulnerability. Next, start up the Django development server to see what a fresh Django project looks like. You should only use this for development purposes. Note: Before you try the development server, make sure you open the port in your firewall. You should now have Django installed on your Debian 8 server, providing the main tools you need to create powerful web applications. You should also know how to start a new project and launch the developer server. Leveraging a complete web framework like Django can help make development faster, allowing you to concentrate only on the unique aspects of your applications.